The Notre Dame Cathedral is now more fun than ever! Time management in the Middle Ages! Participate in the construction of the iconic Notre Dame Cathedral in Paris while learning tons of anecdotes. Become the construction site manager of one of the world's most famous monuments: clear the site, build quarries, and destroy giant hams to feed your workers. Don't forget to build the gargoyles and the bells, otherwise the project will be delayed! And be careful, an army of criminals is on the prowl... Free Game features: - Build the Notre Dame Cathedral in Paris; - 50 levels to complete; - 10 unlockable Bonuses; - Make sure your name goes down in History. 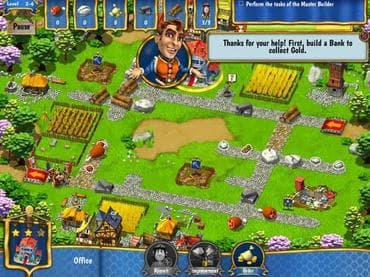 If you have questions about Monument Builder: Notre Dame game, please contact us using this form.